Who needs a sweet score on Dial Body Wash right now?? 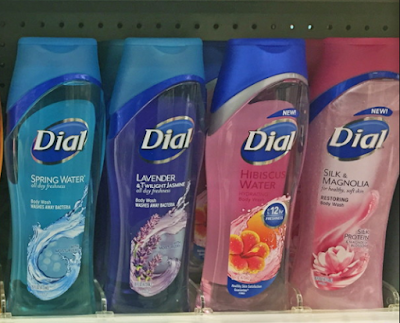 Dial Body Wash -- priced at $3.97 per bottle. Right Guard Total Defense 5 Deodorant -- priced at $3.47 each, with $1 off yellow coupons available in stores. Buy three of each item for a pre-coupon price of $22.32. Use the Buy 2 Get 1 Free Dial coupon from the 7/15 RetailMeNot insert and three $1 off yellow coupons on the deodorant. Pay $15.35 out of pocket for all six items, then receive your $5 catalina to use later in July. So that's like $10.35 for everything, or just $1.73 apiece! UPDATE: We also have a $1 off 2 SavingStar rebate now on Dial body wash! So your new final price is really $9.35 for all six items, or $1.56 apiece!